Trying to figure out where to honeymoon? See what the stars have in store on where you should spend the special vacay. Calling all astrology lovers! If you’re trying to figure out where to honeymoon and would be happy leaving it up to the stars, we’ve got you covered. 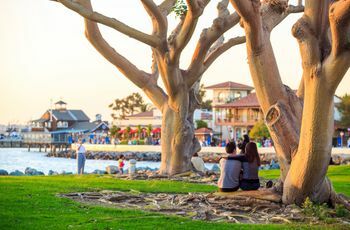 We’ve found the best honeymoon destinations for each zodiac sign, so you can have the ultimate getaway after the big day. Here’s a helpful primer on where to honeymoon based on your zodiac sign. 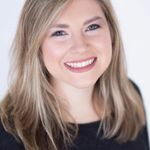 Aquarius’s eccentric, free-thinking and curious attitude means that those who’re ruled by this sign need to have an action packed honeymoon. So, we think they should check out Santorini, Greece on their honeymoon. 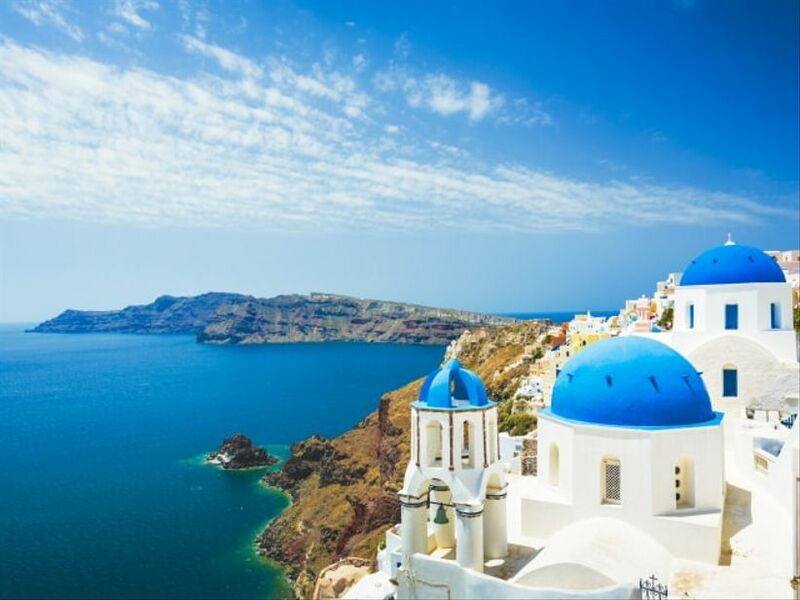 Santorini is one of Greece’s most beautiful islands and has an unlimited selection of activities. From cave swimming to visiting ancient sites like Akrotiri and Thera, Aquarius will enjoy this breathtaking honeymoon destination. 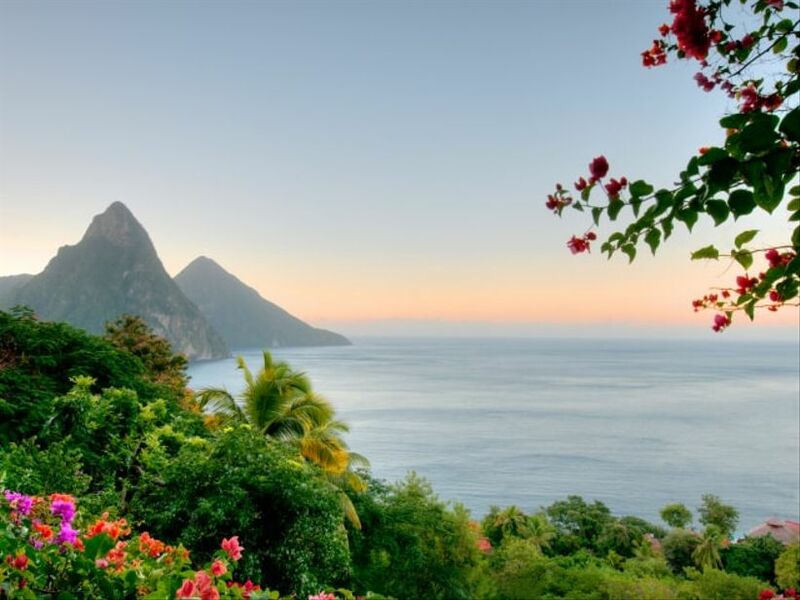 Since Pisces is a water sign and is known for its love of romance, we think they’d have the most fun visiting a spot that’s surrounded by the deep blue ocean — like St. Lucia! St. Lucia is a Caribbean island known for being a hot spot for those who love relaxing on the beach and exploring local markets and restaurants. Pisces love choosing St. Lucia as their honeymoon destination because they can spend the day snorkeling with their S.O. and enjoying a private beachside dinner at night. Aries’ independent and energetic spirit means they’ll have a blast exploring an area with tons of action and wildlife. We think New Zealand would be the best honeymoon destination for this sign. 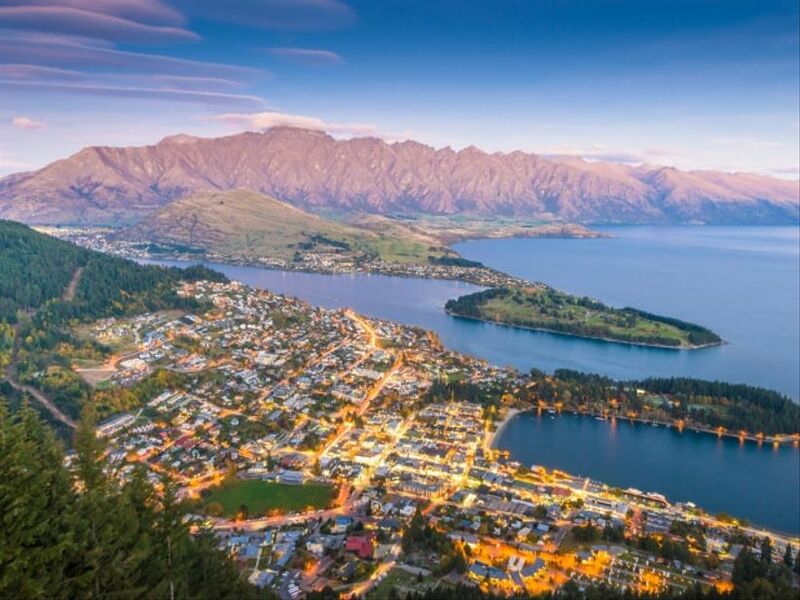 New Zealand is a great choice for fun-seeking and nature-loving couples because it’s filled with rainforests, lava caves and even glaciers! Even though New Zealand is a bit of a hike from the States (about 21 hours from the East Coast), we think Aries’ fiery and adventurous traits will be best matched with New Zealand’s surplus of outdoor activities. Those born under the Taurus sign are practical people, but also enjoy the finer things in life. Therefore we suggest they choose Napa Valley, California as their honeymoon destination. 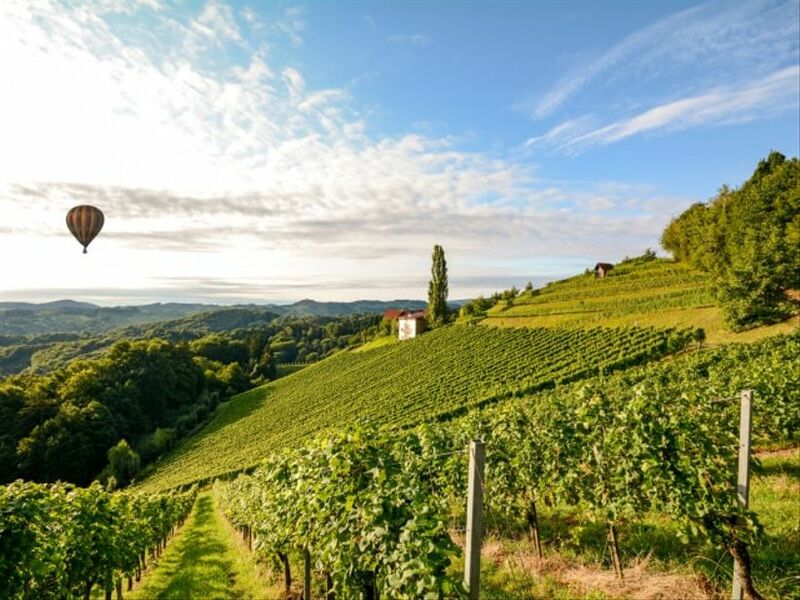 Tauruses will love spending their trip wine tasting throughout the renowned region and can even check into a lavish spa or romantic bed and breakfast along the way. Taurus will also enjoy the practical aspect of choosing Napa as their honeymoon destination, since a passport isn’t required to visit this West Coast gem. Geminis are known for being indecisive, so we think a destination with lots of culture and sightseeing will help them avoid FOMO. Rome, Italy serves as a great romantic getaway option for Geminis because it’s filled with ancient history, delicious food, and more! 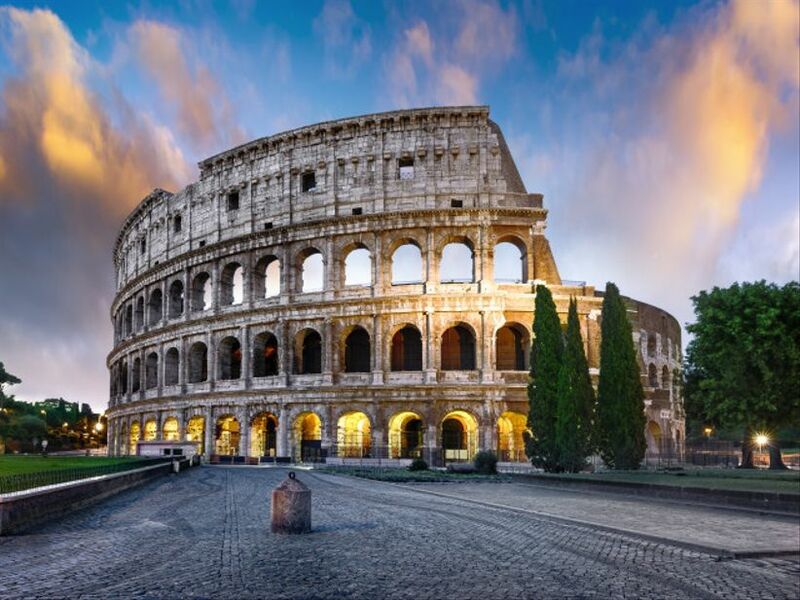 Geminis will love interacting and mingling with the locals as well as checking out Rome’s must-see attractions and sites like Trevi Fountain, the Spanish Steps the Coliseum and more. Cancer signs tend to be homebodies, (sine they’re deeply sentimental and family-oriented), so a destination that doesn’t involve leaving the U.S. would best suit this sign. 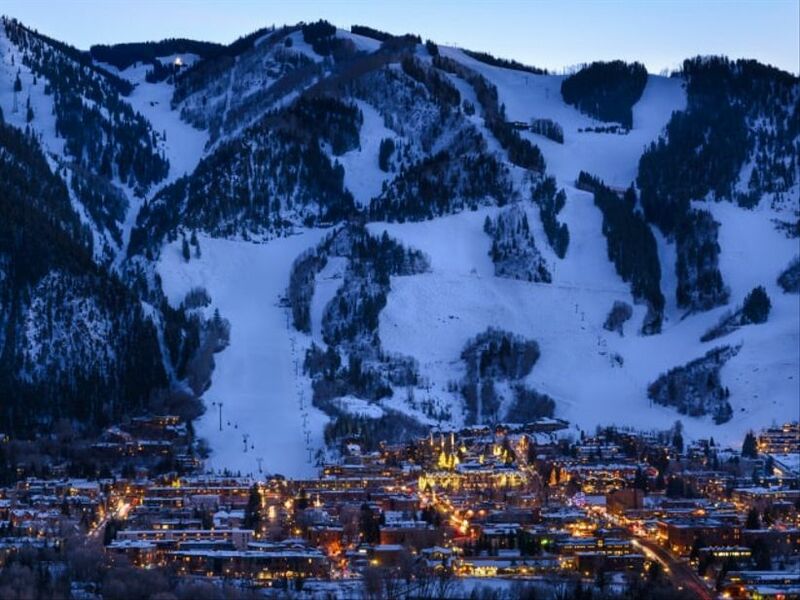 Aspen, Colorado, which provides travelers with a cozy (and mostly snowy!) setting is a great option for the more reserved Cancer sign. There’s also plenty to do in Aspen besides snuggling up by a fire, such as winter sports, horseback riding, spas and more. So, we definitely think those who who fall under this zodiac sign will have a hard time leaving because of the town’s homey vibe. Leos love to have a good time and are always up for a party, so we think Barcelona should be their go-to honeymoon spot. 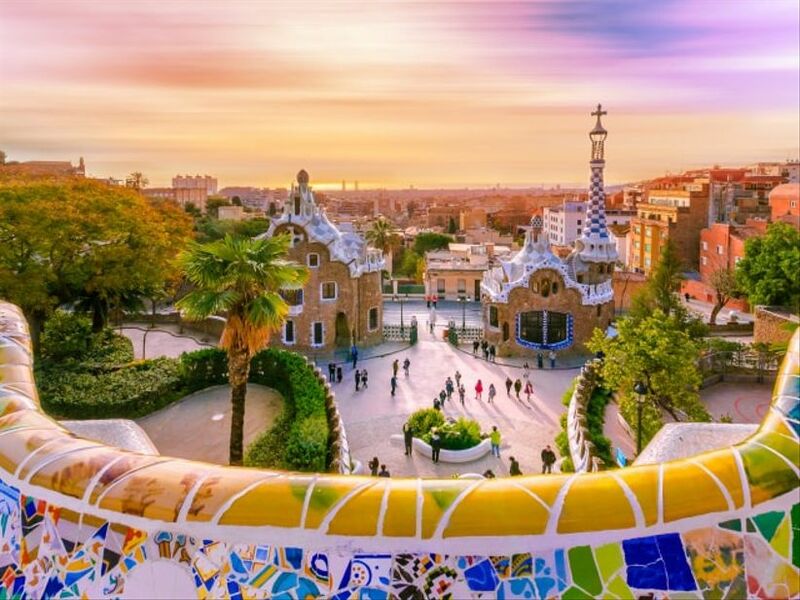 Barcelona, while known for having some of the best fiestas (and siestas) is also filled with a rich and vibrant culture that Leos will find exciting and entertaining. Throughout the bright and colorful city Leos will be greeted with eclectic locals, exquisite architecture, and some delicious cuisines (like paella!) — making this Spanish city a perfect pick. Virgos’ organizational skills most likely means they’ll always have a packed schedule. We think Virgos should choose Paris, France as their honeymoon destination so that that it can fuel their task-oriented characteristics. Virgos will enjoy creating an itinerary of all the iconic places to visit in Paris, like the Eiffel Tower, Notre Dame and more. 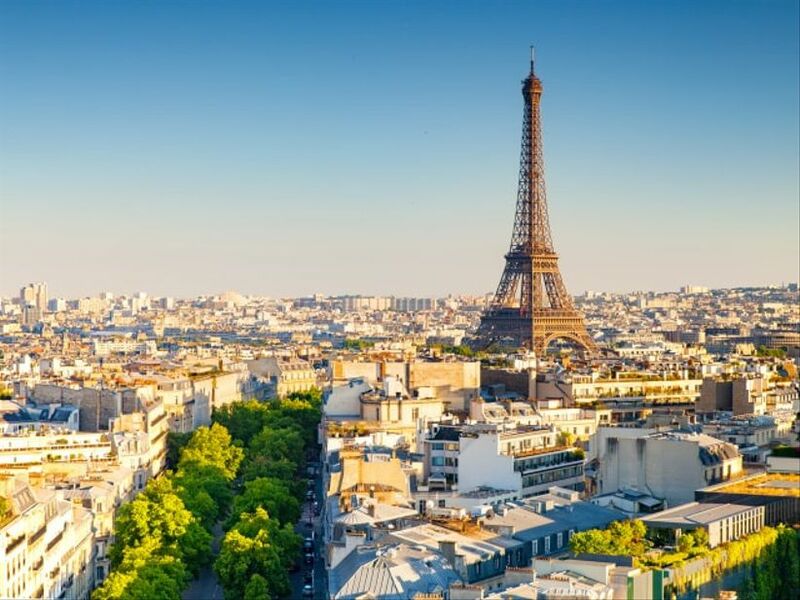 While Paris is packed with famous buildings and sites to see, the city is also known for being one of the most romantic places in the world, which Virgos will totally adore on their honeymoon. Libras are all about peace, tranquility and good vibes, so a tropical paradise like Belize would best fit this zodiac sign. 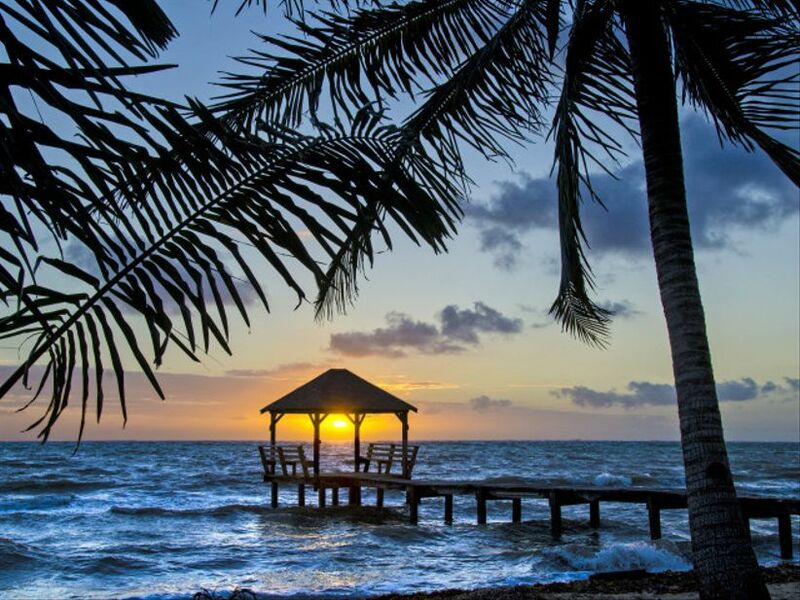 This Central American destination has ancient Mayan ruins, tropical beaches and tons of exquisite Belizean cuisines that Libras will love checking out with their new spouse. From yoga sessions on the beach to just relaxing with your love, Belize is definitely a must-see for this go-with-the-flow air sign. Scorpios are known for being intense, so they should definitely check out a relaxing honeymoon destination to help them chill out. 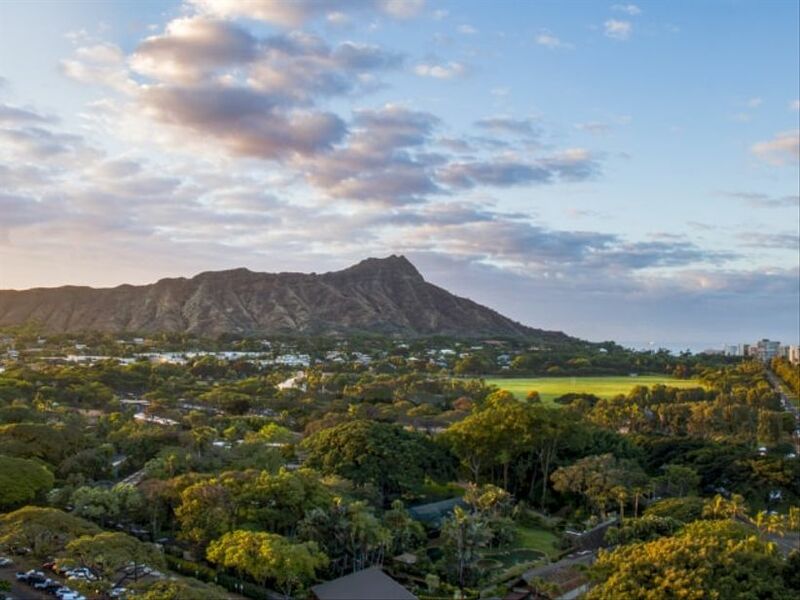 Oahu, Hawaii, which is filled with white sand beaches, luxury resorts and even some of the best glamping (glamorous camping) sites, is a fab pick for a Scorpio to sit back and recharge. This focused sign can de-stress after all the wedding planning chaos by spending their honeymoon lounging in Hawaii’s tropical sun with a fruity cocktail in hand. Sagittarians are travelers at heart and love exploring unknown destinations. 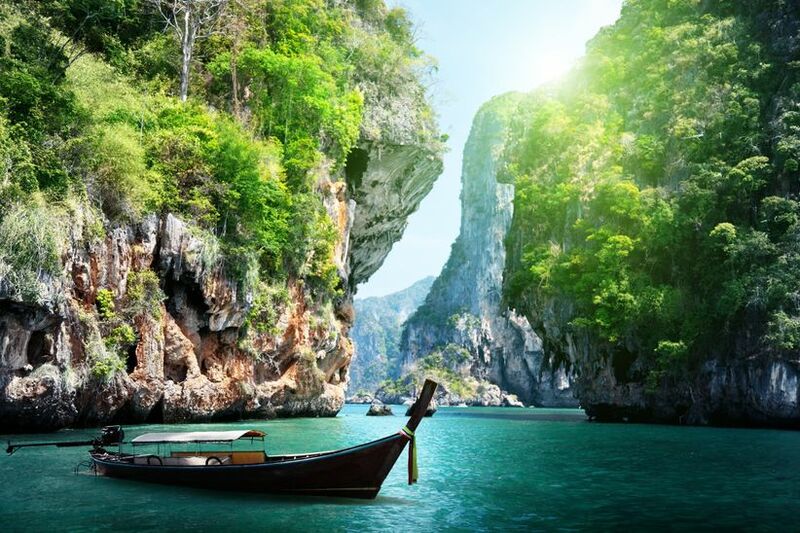 Therefore we think the secluded Southern part of Thailand, known as Krabi, would be a fun choice for Sags to visit on their honeymoon. This peaceful town is surrounded by the Andaman Sea and is home to rich coral reefs, limestone cliffs and dense mangrove forests. Along with its stunning scenery, Sagittarians will enjoy dining out their future spouse and tasting some of Krabi’s exotic dishes. Capricorns belong to the earth element, which means they’re very ambitious and need a honeymoon destination that’s filled with adventure. We think South Africa will keep Capricorns busy while also testing them to explore new things. 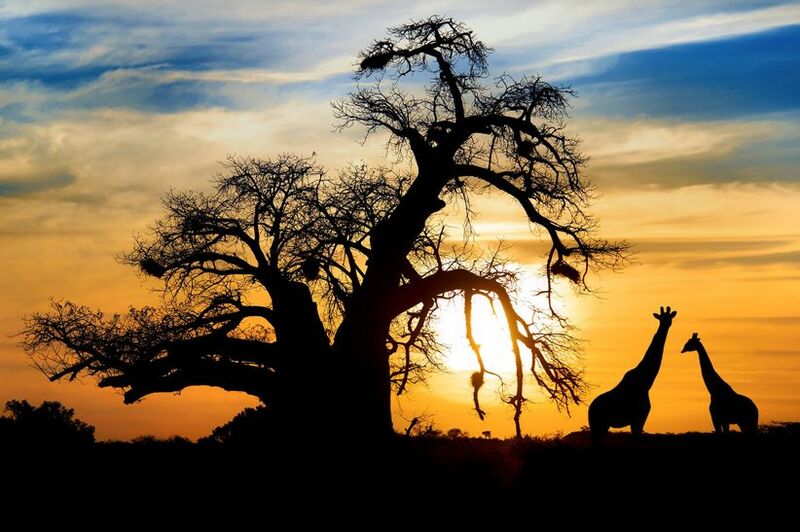 Whether they opt for a safari excursion throughout Kruger National Park or perfer to hike Table Mountain, South Africa is a romantic honeymoon destination that definitely won’t bore a Capricorn.